The Euro-Mediterranean Network for Economic Studies (EMNES) Policy Conference took place in Amman, on 09 May 2018, providing platform for discussion on the socio-economic roots of unemployment in the region and on the perspectives and challenges for job creation for developing a policy roadmap to solve the problem of unemployment. In his welcoming address, H.E. 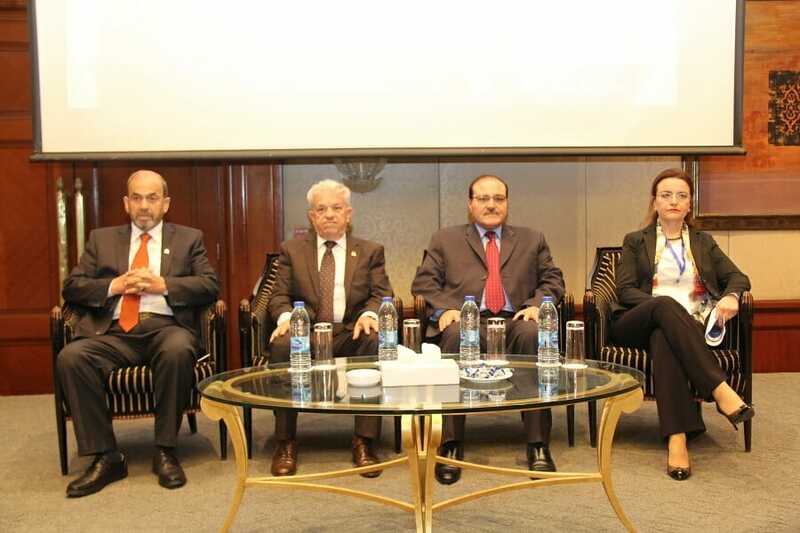 Prof. Adel Al Tweissi, Jordanian Minister of Higher Education, highlighted the need to align the output of higher education institutions with the needs of the labor market and praised the efforts of Yarmouk University and EMNES for organizing the Policy Conference. In his turn, the President of Yarmouk University Prof. Zaydan Khafafi said that achieving economic growth alone is not a solution to unemployment and poverty without improving the fair distribution of income. In her address, The Scientific Director of EMNES and Founding President of the Euro-Mediterranean Economists Association, Prof. Rym Ayadi, highlighted that the latest EMNES research shows that Labor markets are dis-functioning in the South Mediterranean countries – with skill mismatch a clear phenomenon that must be tackled as it is hurting the return on education in several countries in the region. Furthermore, the Micro small and medium sized enterprises are incapable to grow and are hurt by rampant informality, corruption and red tape, lack of access to finance and financial education, however innovation, if integrated, can be an answer to increase productivity and provide new avenues for employment. During the Conference, Dr. Wajih Oweis, Senator and Former minister of higher education, spoke about the importance of matching the outputs of education with market requirements. In his turn, H.E. Dr. Ziad Fariz, Governor of the Central Bank of Jordan, stressed the need to keep pace with the rapid technological developments in the world, while H.E. Maha Ali, Former Minister of Industry, Trade and Supply, highlighted the need to achieve economic growth and activate investment to address the problem of unemployment in the countries of the South Mediterranean. Concluding, Prof. Rym Ayadi, highlighted the pivotal role of EMNES which aims to provide a roadmap for decision-makers in the Mediterranean Region, in order to develop a model of comprehensive economic growth that ensures the eradication of poverty and the creation of decent and fair jobs for all segments of Arab society, noting that EMNES is trying to support educational systems capable of comprehensive reform, aimed at critical thinking and entrepreneurship for the creation of new jobs in the public sector. A full report of the Conference and it will be published in EMNES website and announced through our Newsletter and Social Media accounts.